The fight for the Asia Cup has begun and are almost halfway through the competition. One of the Asian giants Sri Lanka were surprisingly knocked out of the tournament along with Hong Kong from the other group. India, Pakistan, Bangladesh and Afganistan have progressed through the super four rounds and would compete for the final two spots. The Afghan team has looked in great touch and were the table toppers from group B winning two out of two matches defeating Sri Lanka and Bangladesh comprehensively. Though Afghanistan lost the first super four match against Pakistan, it was a thrilling contest and could have gone either way. The journey of this team has been incredible and have gained giant strides in the international circuit. 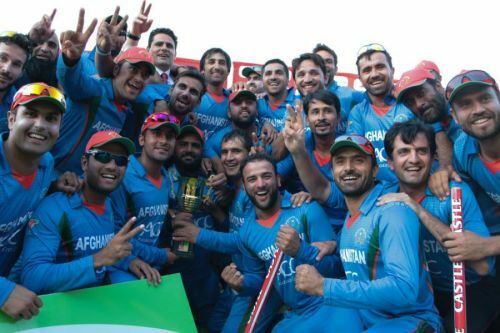 The Afghans have come with a mission to win this tournament and looking right on the track. Let us find out why this team could surprise everyone and emerge out as the Asian champions. 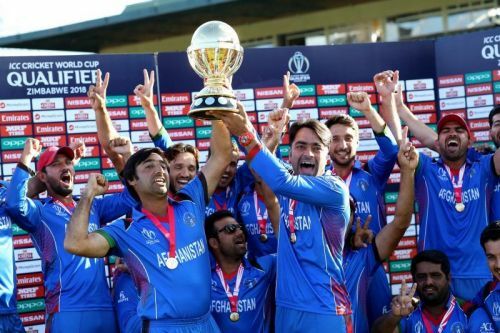 The Afghanistan team has been one of the most popular teams in Asia Cup as they are performing brilliantly and are marching towards their goal. The Asghar-led side has come with a purpose to win this tournament. The new look Afghan team has looked one of the most balanced sides and are equally strong in all the three departments. The batting department has been one of the biggest positives with players like Rahmat Shah and Hashmatullah Shahidi leading the way. The bowling was always the strongest area of Afghans with Rashid Khan, Mujeeb Ur Rahman and Mohammad Nabi consistently taking wickets in a heap. The fast bowlers Aftab Ahmad and Gulbadin Naib have looked great with their fiery pace and accurate lengths. The team is also full of all-rounders like Gulbadin, Nabi and Rashid who can contribute with the bat, and change the course of the match. The combination is looking perfect, and if they play to their full potential, they could win this tournament.